The Mendocino Complex fire has now burnt through 302,086 acres of northern California, making it the largest wildfire in the state’s history, and it is set to continue to burn through the month into early September, according to officials. Firefighters had originally hoped to have the blaze extinguished by mid-August, but they have now extended their target, with data from the California Department of Forestry and Fire Protection (Cal Fire) showing that the fire is currently only 47% contained. Despite its size, the Mendocino Complex fire has only destroyed 229 structures and damaged another 27, although a further 9,200 remain threatened. No casualties have yet been attributed to the fire. The Mendocino Complex refers to a combination of the Ranch and River fires, which are currently burning alongside 17 other wildfires in California in what has been identified as the worst start to the state’s wildfire season in a decade. 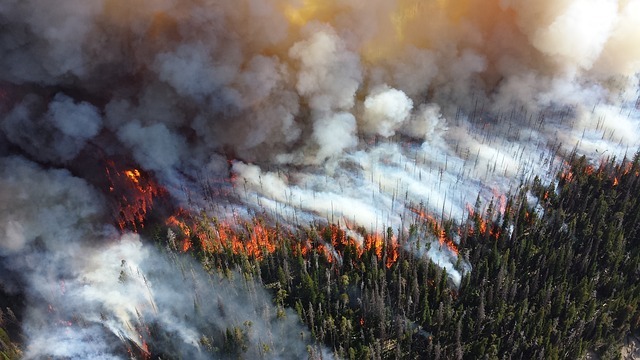 The Carr wildfire, which began on July 23, has now burnt through 177,450 acres and destroyed 1,599 structures, with an additional 282 damaged, although containment has grown to 48% and just 528 structures are now threatened, compared with 5,000 last week. It has caused seven deaths and is currently recognised as the sixth most destructive wildfire in the state’s history, with Aon and Moody’s estimating that it could result in re/insurance industry losses of $1 billion and $1.5 billion respectively. Exceptionally hot and dry weather conditions following a historic six-year drought have been cited as the main causes for the severity of this year’s wildfires, which have also been exacerbated by strong winds and inaccessible terrain, according to Cal Fire. The cause of the Carr fire has been determined to be a flat tire that caused sparks to shoot out from the rim of a vehicle’s wheel and ignite a nearby area of dry bush. No cause has yet been established for the Mendocino Complex fires.